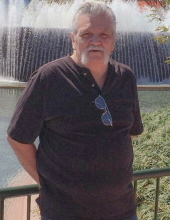 Joseph C. Parlapiano, age 69 years, of Bath, PA, died Friday, January 18, 2019, at St. Luke’s Hospice House, Bethlehem, PA.
Born in Elizabeth, NJ, March 10, 1949, son of the late Guiseppe and Pasqua Ruvolo Parlapiano, he had formerly resided in Pittstown, NJ for many years and had resided in Bath for six years. Joe owned and operated JG Ceramic Tile, Pittstown, NJ for many years. A car enthusiast, he enjoyed tinkering with antique cars and playing bocce. He was a member of the Good Guys Association and the National Street Rod Association. Surviving are his wife, Gloria Sorrentino Parlapiano; four sons, Joseph and Angelo, both of Cocoa Beach, FL, Jay of Orlando, FL, and Adam of Phillipsburg, NJ; a sister, Josephine Allgood of Orlando, FL; eleven grandchildren; three great grandchildren and his fiancée, Roxanne Mohr of Bath, PA.
"Email Address" would like to share the life celebration of Joseph C. Parlapiano. Click on the "link" to go to share a favorite memory or leave a condolence message for the family.